This weekend I needed to make a change to one of the advanced settings in my vCenter Server. This can be done using the vSphere Client, but it is also possible to use the vSphere API, (although it is not well-known). This can come in handy especially when you need to make a change across several dozen vCenter Servers and not have to manually login to each one. 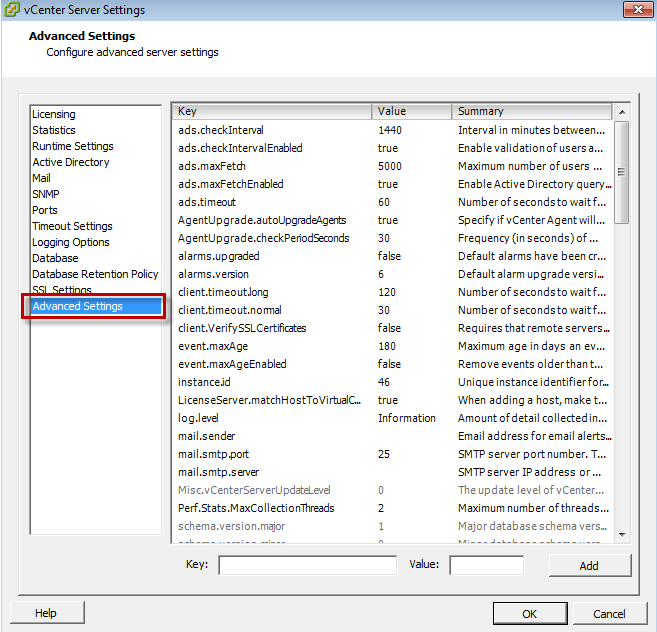 In the vSphere API, there is a property under the service content called setting which contains an array of advanced settings that can be modified. 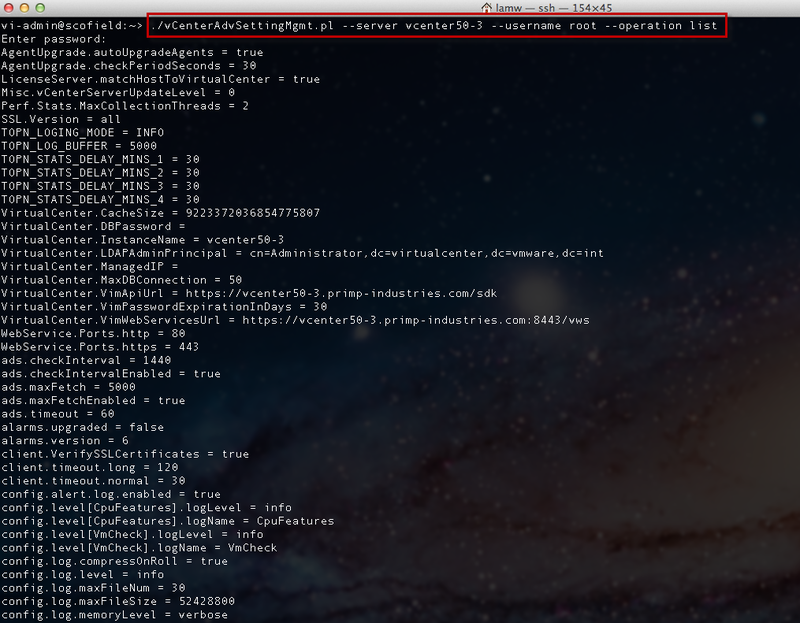 I wrote a quick vSphere SDK for Perl script called vCenterAdvSettingMgmt.pl which allows for two type of operations "list" and "update". When you use the update operation, you will be required to pass in both the key and value that you would like to change. This script came in very handy when deploying the new vCenter Infrastructure Navigator which requires "VirtualCenter.ManagedIP" to be configured prior to deploying. Where are the "Power" Perf Metrics in the vSphere API?